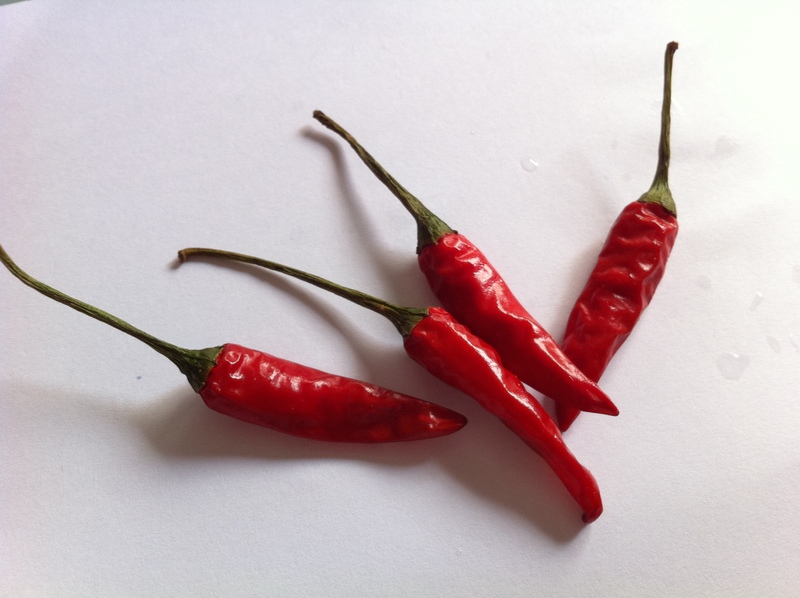 Just had to tell you about this lethal little plant we call chilli padi, or bird’s eye chili as known in N. America. It is quite commonly eaten here in Singapore as we love spicy food. Usually it’s cut into small pieces and served as a dip with light soy sauce to be taken with noodle or soup dishes.The chilli may be small, about 2-3 cm long, but it sure packs a punch! It’s full of seeds inside and it’s these seeds that make it fiery hot. If you’re not accustomed to taking spicy stuff, stay away from this chilli. It will leave a burning trail all the way from your tongue to your stomach and you might suffer stomach upset if you’re really not used to the spiciness. I often like to have the chilli with noodle or soup dishes with rice and today is just the day for it. 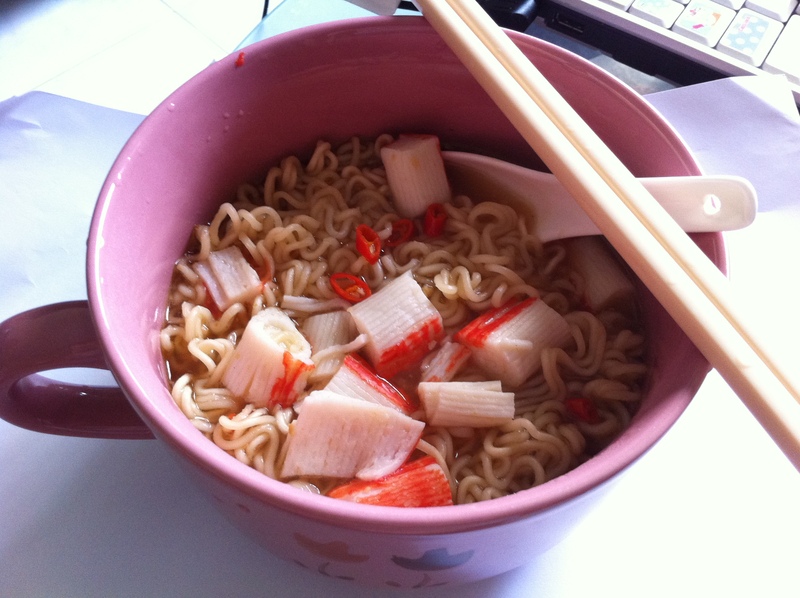 I was too lazy to go out and buy lunch (I’m home today) so decided to cook instant noodles. The thought of adding the chilli to my soup noodle is too tempting and mouth-watering so I took 3 stalks of the chilli from the fridge to use. In the end I only used 2 stalks cos I didn’t feel suicidal. Well, 2 is definitely enough for me since I added them to the soup while cooking over the stove, making the whole dish (noodle and soup) spicy instead of just using the chilli as a dip and leaving the soup clear of spiciness. I’ll have to try that Judy. We can get those chili’s here and I too love spicy food. When I go to my favorite Chinese restautant I get Firecracker Shrimp. It has habenero chili’s, very hot but with a sweetness too. BTW I’m wery impressesd with your blog. You go girl!